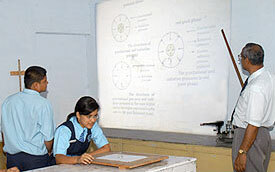 All the members of teaching staff are well educated, most of them being postgraduates with a degree or diploma in teaching. The staff is carefully selected with ability to teach effectively and also to guide the students in games and co-curricular activities. An institution is only as good as its teachers. It is the teachers who are its strength it is the teachers who help it grow. and it is the teachers who make an institution more than just an architectural structure. 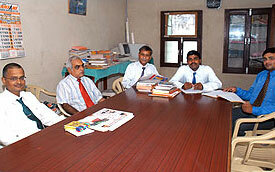 MKGM is blessed to have a wonderfull, hardworking, dedicated, nurturing, helpfull and well trained staff. More than just colleagues, our staff is like a small joint family in it self.